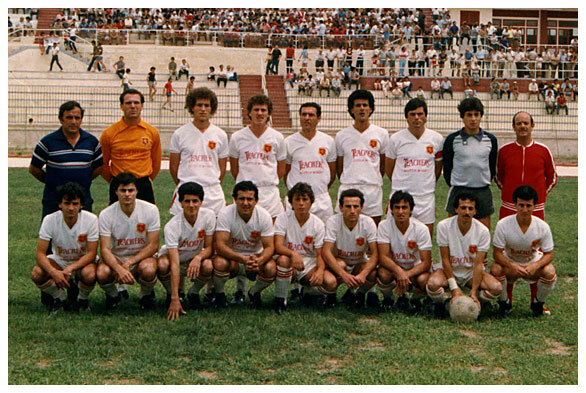 1983-84 season proved a fantastic start for Valletta F.C. They won the second edition of the Euro Challenge Cup - a competition between the three local teams participating in European competitions that season. Valletta FC beat Rabat Ajax 2-0 and were held in a draw against Hamrun Spartans 1-1. Even though Hamrun Spartans were favourites to retain the championship for the second season, at the end Valletta FC were crowned champions for the twelfth time in their football history. Under the guidance of coach Joe Cilia, Valletta FC won ten points from seven matches and continued by winning the championship pool after beating Hamrun Spartans 1-0 in a decisive match. After this success, it seemed that the Lilywhites were having a long break and after six seasons they were crowned champions once more.